Music creates images in our heads. Sounds conjure shapes and landscapes in our mind’s eye, where no ‘real’ space exists at all. So for many musicians and producers trading in spatially evocative music, it’s a natural extension to give substance to that imagined interior space. Creating a continuum between audio and visual has become de rigueur for producers and designers alike, but coming up with a convincing and compelling relationship between both mediums is easier said than done. Lucky for Irish duo Lakker, one of their members Dara Smith comes from a background in design and visual effects. Alongside his counterpart Ian McDonnell, Smith uses a combination of Live and Touch Designer to craft multivalent planes of shape, texture and colour that complement and enunciate the seismic forces rumbling through Lakker’s deconstructed techno. 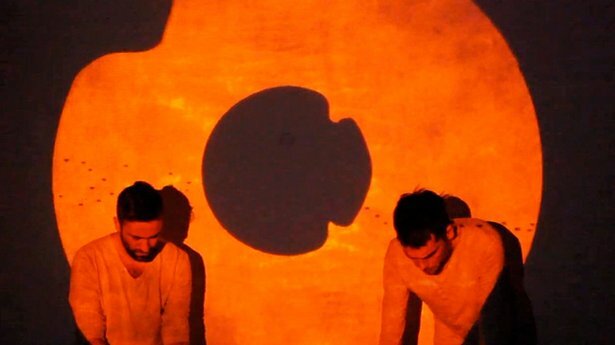 The demo video below shows how Lakker manage to balance your attention between sound and image; where one ends and the other begins becomes abstract and a unifying concept indebted to meteorological cycles emerges—a concept deeper than music or images could achieve in isolation. Get the full breakdown of how Lakker use Live and Touch Designer for their visuals and how they get such an astonishing visual variety from just a few basic elements. Keep up with Lakker via their website and Soundcloud. Lakker’s Tundra is out now on R & S records. Learn about other artists using visuals with Live.